Can a movie really make a difference? If so, can we translate its passion into action? Films rouse us; they fascinate us. Whether they are documentaries, or dramas that raise our consciousness, they move us. And then we move on. Countless times, filmgoers have confronted a compelling issue in the dark cinema, then stepped out into the light or night and perhaps discussed it over coffee or dessert, and forgotten it completely by the time they got home. 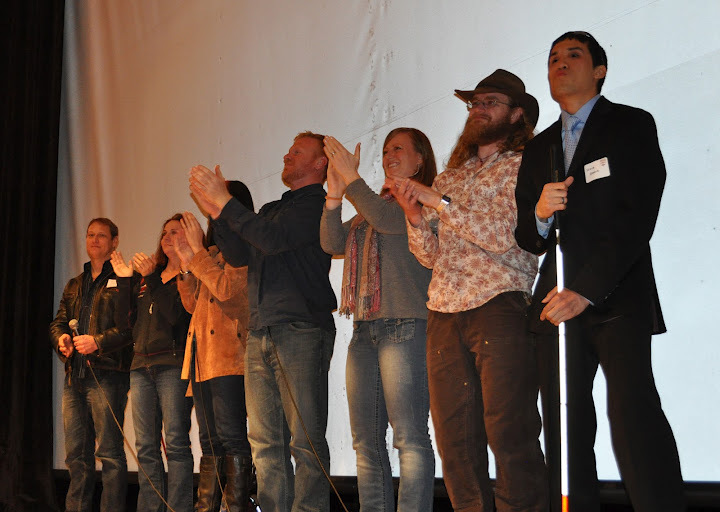 In 2010, a constellation of groups and individuals in Boulder, Colorado – the Boulder International Film Festival (BIFF), Philanthropiece, the Twisted Foundation, Mothers Acting Up, and Sandy Younghans -- came up with an innovative new way to integrate audience and film. Call 2 Action is a program that offers concrete ways for filmgoers to translate the energy and passion that film evokes into action -- to utilize cinema to organize a community. A film is a springboard, a departure point that unleashes a torrent of thought, dialogue and energy – all of which can be purposed toward healing the world, one person and act at a time. Since then, BIFF has devoted 25 to 30 percent of its programming each year to the Call 2 Action initiative, with remarkable success. BIFF’s volunteer Call 2 Action committee matches film topics with social change groups in the region, partnering with them on the presentation of the film and its focus, during which they present the “Five Ways” in which they feel the audience can take immediate and effective action. Call 2 Action films are a well-promoted highlight of the festival, drawing a dedicated coterie of fans throughout the event. 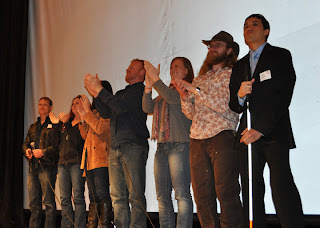 Call 2 Action films feature representatives that lead post-screening discussions, debates, interviews, and Q-and-A sessions, as well as providing resources for immediate engagement and involvement for motivated filmgoers. Entities associated with the causes championed in these films will be on hand in The Call 2 Action Tent (yes, a big tent) erected at 14th and Pearl Streets, conveniently close to all our screening venues. 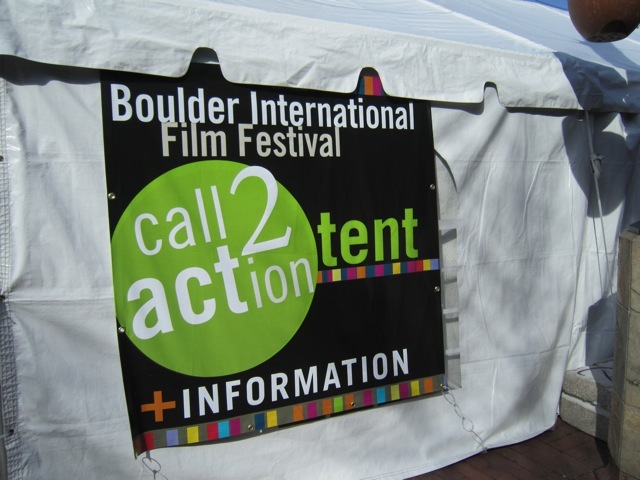 Our festival program contains detailed information on all Call 2 Action topics, for continuing reference. Past Call 2 Action films have consistently drawn sold-out crowds, and have offered insights into subjects such as the struggle of returning veterans (“High Ground”), the attractions of gang life (“Down for Life”), the not-so-incremental ebb of glaciers (“Chasing Ice”), and a triumph of developmentally disabled musicians (“For Once in My Life”). Convinced of the effectiveness of the program, its originators are now crafting a Call 2 Action Toolkit, a blueprint available to all that outlines how to generate and grow a Call 2 Action program as well. We are very excited about this expanded opportunity to help people connect and make a difference! 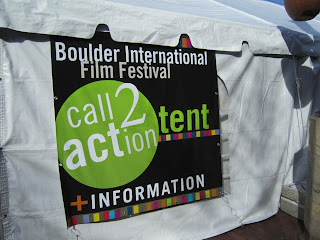 You can find out more information about our Call 2 Action films on our Web site, at http://www.biff1.com/call-to-action.html. Plus, we’ll be discussing these movies in greater detail, and outlining the special activities and groups involved in the presentation of each, in future blog posts.